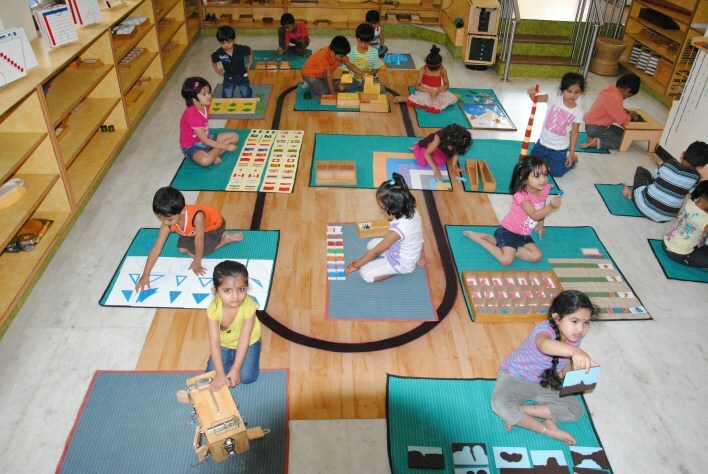 Bangalore has many pre-schools that help in preparing the child for its future. Many of the pre-schools in Bangalore cater to international standard of education, child care and hygiene. The all important aspect of pre-schooling is to understand the child’s need and choose a school accordingly. “Too soon too much” is always a worry for some parents, but this can be tackled with the choice of the teaching methodology adopted by different pre-schools in Bangalore. One among them is the Apple Kids International Pre School. This ISO certified chain of international school is a perfect amalgamation of technology, culture and innovation. It is said that, curiosity and imagination are the two most important building blocks of any child’s future. It is always important for parents and teachers to encourage child’s imagination. Taking forward this concept and applying this in a child’s day to day life is EuroKids pre-school. I Play I Learn follows the Montessori Method, Multiple Intelligence Approach by Howard Gardner, Thematic and Project Approach by John Dewey, the Reggio Emilian Approach and the Play Way Method by Friedrich Froebel. This pre-school ensures that children learn to believe in themselves that will further enhance their confidence and self-esteem. In most of the schools, it is always the teachers teaching the kids. Kangaroo Kids is one school that gives more importance to self-learning than spoon-feeding. Kidzee, another international franchise of playschools, gives all the kids a soothing environment so that the transition from pre-school to school becomes a hassle-free and seamless affair on the whole. Kids Campus located at Mysore tries to work together with parents to develop key learning skills such as ‘listening’, ‘speaking’, ‘concentration’, ‘persistence’ and ‘co-operation’. Petits World in Mangalore follows the method of Waldrof, Maria Montessori, Reggio Emilia and Glen Doman’s Method of Education. We have listed few pre-schools from various parts of Karnataka state.